Following on from the success of Disney's Happiest Celebration on Earth which commemorated the 50th anniversary of Disneyland in California, Disney announced the new Year of a Million Dreams celebrations which actually ran from October 1, 2006 to December 31, 2007 (a total of 15 months) in both Walt Disney World Florida and Disneyland California. 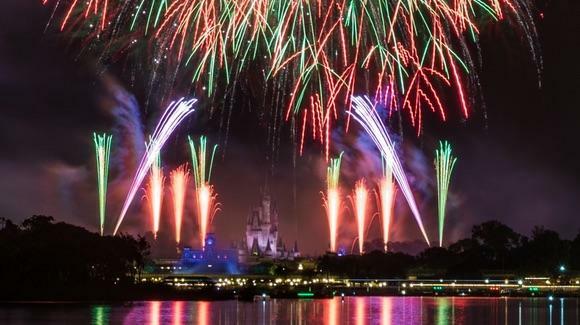 During the Happiest Celebration on Earth, attendance at Disney's Florida parks rose by between 5% and 6.5% and Disney hoped to do the same again through 2007 with the new celebrations. During the Year of a Million Dreams, Disney will give away over 1,000,000 dreams and prizes ranging in value from a few dollars to tens of thousands of dollars; others will simply be priceless, like spending the night in the Cinderella Castle. Some dreams and prizes will be handed out randomly by Disney Cast Members to guests anywhere on Disney property, be it in one of the parks, at a resort hotel or in the Downtown Disney area. Others were awarded through a daily mail-in Disney Dreams Giveaway which ra from September 18, 2006 to December 31, 2007. Thousands of prizes were given away each day with the total value estimated at $17.4 million. To enter the daily mail-in giveaway you had to be a resident of the United States, Puerto Rico, Canada, Mexico or the United Kingdom. There were also a series of four Magic of Dreams sweepstakes as part of the Where Dreams Come True campaign. The sweepstake could be entered online where you could build your own dream (see destinations.disney.go.com for more details). The draw for the first sweepstake has already taken place and one lucky family got to have the Magic Kingdom to themselves for a few hours on the morning of October 4, 2006. Some prizes like the DREAM FASTPASS® badges and special park after-hour events had to be used in the park the same day. If you were unable to use your giveaway prize then you were offered an alternative prize of equivalent value.